Ikonography offers a wide range of photography services, from simple passport photos, costing around £20, to bespoke wedding photography services, typically from £300 and up to £1600 for our Graphistudio Album packages. Obviously, contacting us for a consultation is completely free, and we are happy to visit you and tailor our photography services to your needs and work out a price that you are happy with. 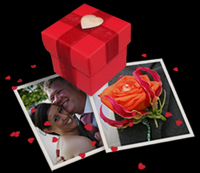 If you think we could be the photographers for your special occasion please get in touch and talk to us. We'd love to hear from you! We can tailor your package to suit your needs. We can cover from 1 hour up to all day and can provide images on DVD or a Full package with Album and parents books - or anything inbetween! Just give us a call.